This Sardinian pasta is ideal for soups or used with all types of sauces. 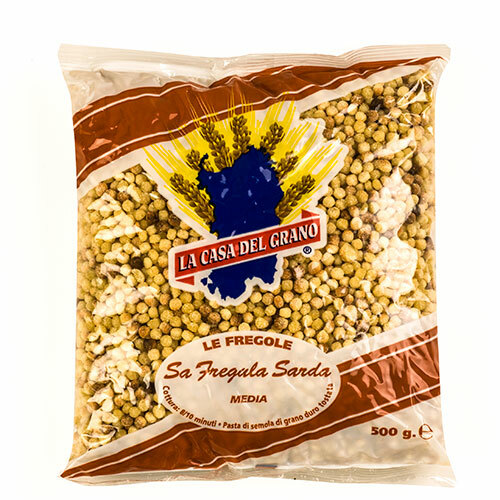 Fregola sired are small spherical shaped pasta made by rubbing coarse semolina pasta with water. The pasta is then toasted, which gives it a bronze color and imparts a rich, earthy flavor.